It is typical for me to catch up with some reading over the holidays, as it’s always difficult to find the time during the school term. It had been a while since I read an educational book, so I recently downloaded some which were absolute bargains. I did consider buying physical books but figured that if I had e-copies, I would always have them available on my phone for “dipping into”. 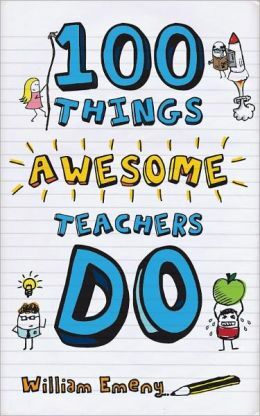 The first book I downloaded was “100 things Awesome Teachers Do” by William Emeny. I’ll admit that I was a little skeptical about this one at first – having been teaching for 12 years I thought that it had the potential to be a little patronising. But for the bargain price of £3.21 I decided to give it a go. On reading the introduction, I was pleasantly surprised – William was basically describing me – somebody who wants to try new things, stumbles upon a new idea, ends up not implementing it as other things seem to get in the way, and then forgets all about it! The book is divided into different sections (for example Special Educational Needs; Making the Learning Stick) and whilst many of the ideas I had come across before, it was good to be reminded of them. Two of the ideas I am looking to implement in the next few weeks are the use of info-graphs for comprehensions and a graffiti wall for students to add what they have learnt on a particular topic over a period of time. There were numerous other ideas which I hope to try this term too. 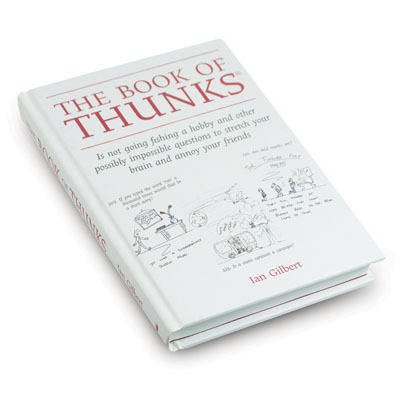 The second book was “The Little Book of Thunks” by Ian Gilbert. A thunk is “a beguilingly simple-looking question about everyday things that stops you in your tracks and helps you start looking at the world in a whole new light” 1. I have seen many of these quoted on Twitter in the past and thought they would be useful as challenge/stretch activities. I have already used one of them to great effect with year 9, and have challenged their thinking by playing devil’s advocate. Whilst I am sure we could all come up with our own thunks, they do require considerable thought, so it’s great being able to dip into a ready made set (there are 250 in this book). Whilst this book wasn’t such a bargain at £5.99, (the paperback is £7.50) it has definitely been worth buying. So – Happy Thunking! Note – William Emeny’s ebook can be downloaded here.